Gundam? My pupil statted to dilate. 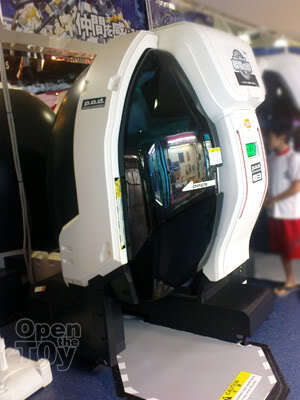 Mobile Suit GUNDAM SENJO NO KIZUNA Arcade Machines? I look at the dashboard machine and trying to make sense of how to play the game. It uses a card slot but where was no controller. I stood there for about 3 minutes observing the graphic movement of Zaku and Gundam fighting out in the war zone. I discovered 4 white pod behind the dashboard. As I was about to feed my curiosity to open the pod, I noticed that it was occupied. I peeked through the dark shaded panel and saw what was happening inside. It was a cockpit which has a close to 180 degree view! 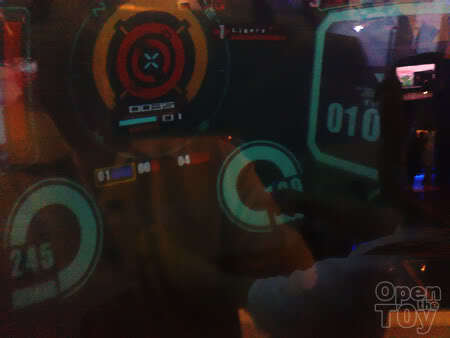 I only managed to capture a certain portion of the screen on camera while the players was in the mist of hot battle. There were total of four pod and each player was playing as a team communicating to each other via headset as they made their move. 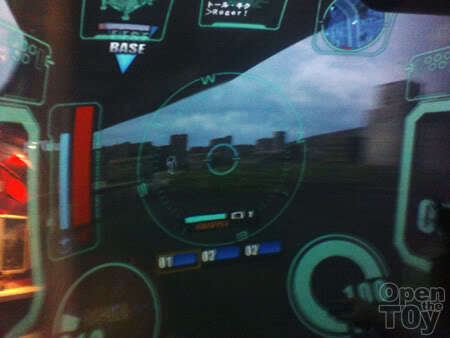 The dashboard panel on the outside displaying the battle field status started to make sense. The players used that before the battle to brainstorm and communicate the mission plan. Now they are executing the plan facing unexpected situation. To make things even interesting, there was an option in review the mission for after action report and the data of each battle are stored in the pilot card which one need to acquire at a fee. I didn't get to try the game as I do not have team mates to beginning the mission and my course timing was about to start. But the game sure look fun. Maybe next time I can gather some team mates of my own and try it out. 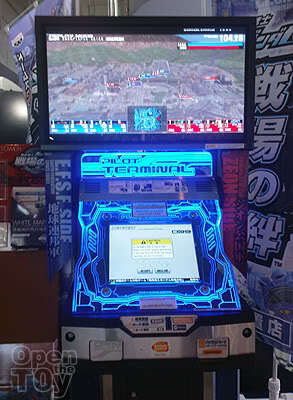 Have anyone play this Gundam game in arcade before? 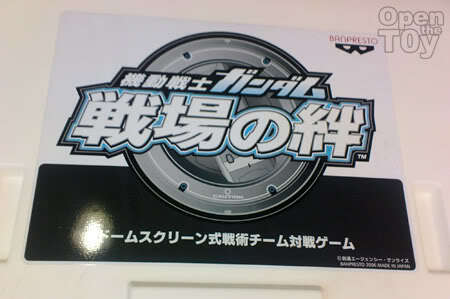 Visit gundam-kizuna.jp for more information. I'm gonna try this next saturday at dhoby ghaut, hahahaha. If it's too stressful, then I'll go ahead and proceed with L4D2, hahahaha. Me too. 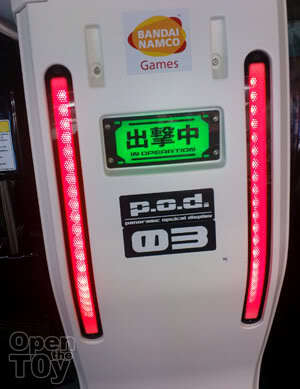 That why I so surprise to find such realistic arcade. 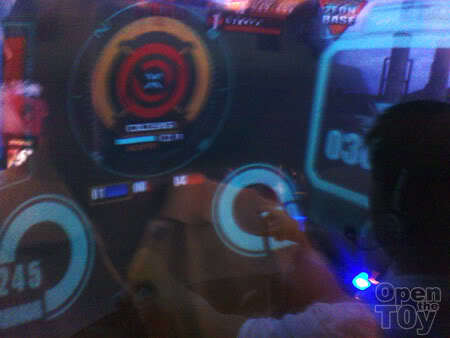 Oh my that will be a very nice game to play with friends together...did you see what mechs they were using Leon? I only see GM and Zaku. I am not sure which is which at that time. I think Gundam maybe able to pilot if your level increased. That's just my guess only tho. 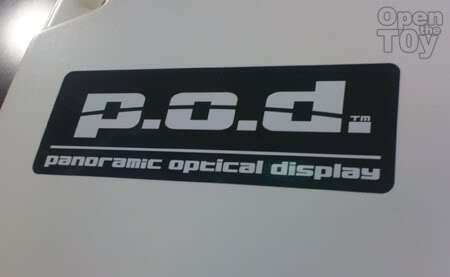 I wish I have this pod at home for personal use. Ha! Ha! HAHA!! i didn't know that! !